Once upon a time (today), in a classroom far far away (at my school), there was a teacher (me) who one stinking hot afternoon (today still) was left with no more than seven of her students in the classroom while the others were all busy at choir, underwater basket weaving or some such. It had been a challenging week for the teacher with a range of things pulling her out of the classroom more than she would like and she was disappointed to be missing more time with her students. It also skuttled her carefully designed lesson plans for the afternoon. With a huge sigh and a quick eye roll, she shook it off and re-assessed the situation. She noticed that the seven smiling faces in front of her were all on either one of two lists of children needing mini-lessons or small group learning in particular areas. Pulling them all together on the floor, she started by finishing the picture book she had started that morning during a think-aloud mini-lesson about inferring. The intimacy of the small group gave confidence to one of the children who started a discussion that lead to an observably deeper understanding of inferring in most of the children. Two of the children drew inferences that even the teacher hadn't made. She felt the sense of peace that the change plans had unsettled starting to return. Taking advantage of the engagement in inferring the teacher modelled a reading journal entry based on inferring. The children followed with scaffolded entries of their own. She had one-on-one conversations with most of them about how to explain their thinking. They talked about recording their metacognition. And then another couple of children turned up. The returning peace was, well, not quite shattered, but certainly cracked. Fortunately, as fate would have it, the reading journals were nearly all complete by this stage and everyone was ready to move on to something new. Those who weren't, continued at their own pace. "Miss, can you please help me with my narrative plan? I really need some help" came the call from the corner of the room. And so once again, gathered in a small group the children entered into personal conversations about narrative features. They co-constructed a narrative plan and compared it to their own earlier plans. They offered feedback to each other and sought the teacher's input. 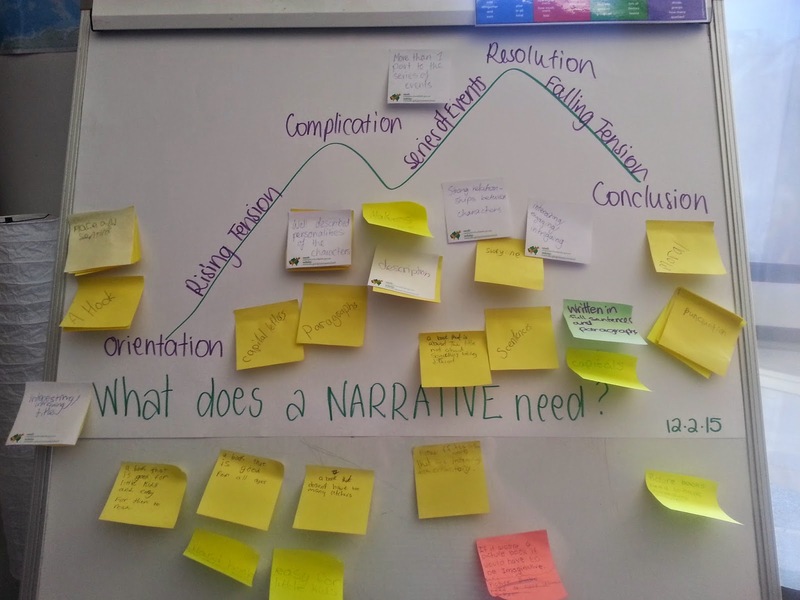 They made changes and then realised that what they were really discussing was the narrative structure mountain the class had created earlier in the week. The teacher pulled over the anchor chart and everyone checked their plans were complete. Knowing that the following day they were doing a narrative assessment they asked the teacher if they could write another practise plan. She smiled and nodded in encouragement. As most of the children worked independently on their plans, with occasional clarifying questions the teacher looked across the learning space. The sense of calm and productivity she felt was a reflection of the room. She'd been frustrated and unsettled by the change in her plans but the change had presented an opportunity to work with small groups of children on focussed tasks. As she sat down with a child who had asked to have his times tables automaticity assessed she realised what a gift she'd been given.